Building a home, I've discovered, is as much about the little victories as it is the big. 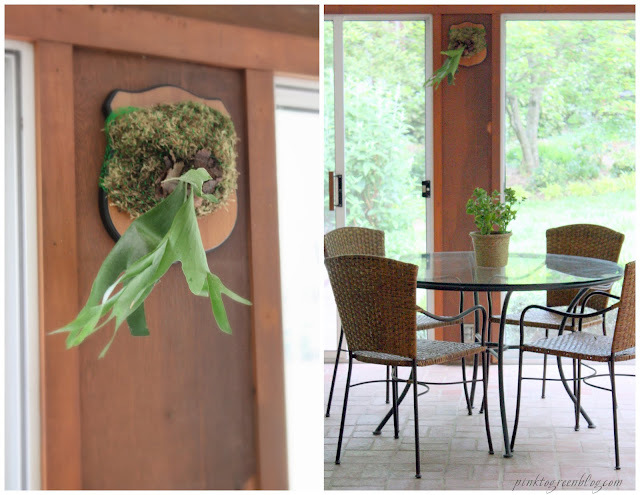 The newly mounted staghorn fern that resides in our sunroom testifies that trophies comes in all shapes and sizes. DIY enthusiasts, I got my mounting board here! More staghorn inspiration here.